The impression of the hotel is positive. Hotel rooms are compact, clean. Great location, 15 minutes to Alexanderplatz. Very friendly staff. Fantastic location, helpful staff and excellent value for money! Room very basic and small but good for an overnight stay. Near to underground and tram making it it easy to get around. Area was good with lots of different restaurants and places to drink within walking distance. Very good location. Close to many means of transport, including subway. Lockers for only 3 euros. You cand get a hairdryer from the reception leaving a desposit of 10 euros that you get back upon your check out. I stayed only one night and on my own. The room (104) was small BUT very clean and modern. You will have everything what you need for your comfortable night rest. Bedding was very clean and fresh. Next time I plan to stay in this place again. I liked it a lot. The location is perfect while the staff was always willing to help and very friendly. This budget hotel with a 24-hour reception is situated in the vibrant Hackescher Markt district in central Berlin. 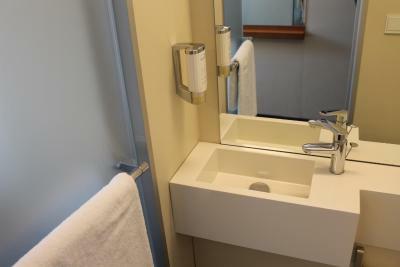 All rooms include an en suite bathroom. The easyHotel Berlin Hackescher Markt is functionally furnished with minimalist design. Wi-Fi and satellite TV channels are available as extras on request. easyHotel Berlin is 100 yards from Rosenthaler Platz Underground Station. 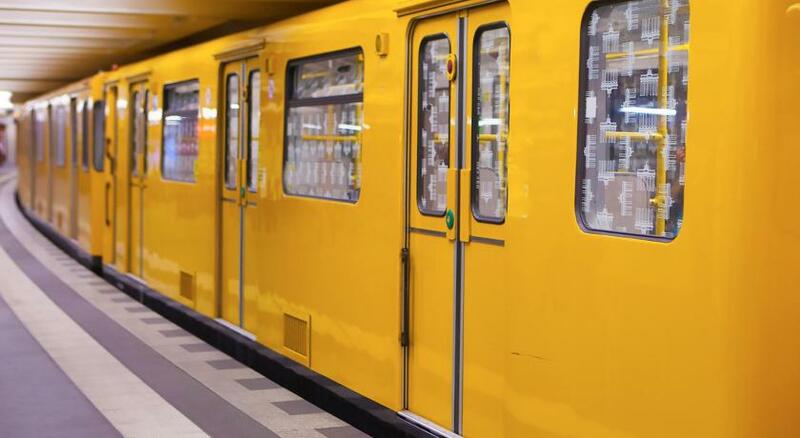 Alexanderplatz Square is 2 underground stops away and offers direct connections to Tegel Airport and Schönefeld Airport. There are many shopping boutiques, galleries cafés, bars and restaurants near easyHotel Berlin Hackescher Markt. The UNESCO Museum Island is a 10-minute walk away. Hackescher Markt is a 10-minute tram ride from the trendy Prenzlauer Berg district or the Friedrichstraße shopping street. 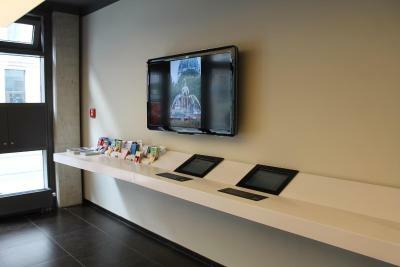 Parking permits can be bought at the easyHotel Berlin. Mitte is a great choice for travellers interested in history, museums and monuments. 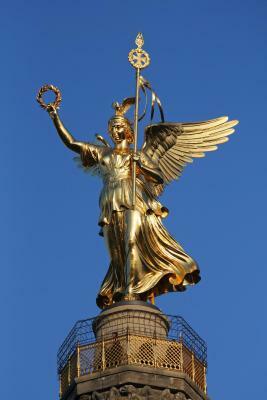 This is our guests' favourite part of Berlin, according to independent reviews. This property also has one of the best-rated locations in Berlin! Guests are happier about it compared to other properties in the area. easyHotel Berlin Hackescher Markt has been welcoming Booking.com guests since 10 Dec 2010. When would you like to stay at easyHotel Berlin Hackescher Markt? This room features a double bed, a private bathroom with shower and window shutters that block out light and excess noise. Please note that no twin bed option is available in this room. Hotel surroundings – This neighbourhood is a great choice for travellers interested in history, museums and monuments – Check location Excellent location - show map Guests loved walking around the neighbourhood! House rules easyHotel Berlin Hackescher Markt takes special requests - add in the next step! easyHotel Berlin Hackescher Markt accepts these cards and reserves the right to temporarily hold an amount prior to arrival. Please note that the property will charge the guests immediately after booking. very small room, smell from the bathroom, no cleaning during yiu stay. no extra toilet paper!!! Very small rooms, so book only if you are travelling alone or with one other person! But the rooms had everything we needed and were cleverly designed. 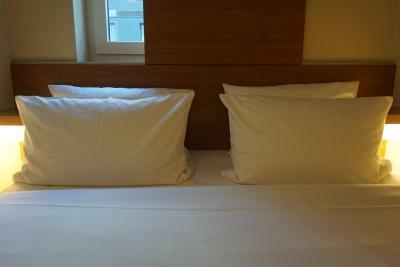 Awful pillows, double room was tiny - no space for two people let alone luggage! Tiny bathroom. Door into room was difficult to open. Internet connection for one person only and bad anyway.